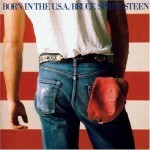 Born in the U.S.A. is the seventh studio album by Bruce Springsteen, it was released on June 4, 1984. A critical and commercial triumph, it found Springsteen marking a departure in his sound. While the predecessor, the dark and acoustic Nebraska featured songs of pessimism and isolation, Born in the U.S.A.’s lyrics expressed signs of hope in the daily fight of the standard American in following the American Dream, a new feeling complemented by synthesized arrangements and a pop-flavored, radio-oriented sound that helped Springsteen to extend his popularity and appeal to mainstream audiences. 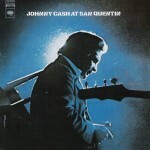 At San Quentin is the 31st overall album and a recording of a live concert given by Johnny Cash to the inmates of San Quentin State Prison. As well as being released on record the concert was filmed by Granada Television. The album was a follow-up to Cash’s previous live album, the critically acclaimed and commercially successful At Folsom Prison. 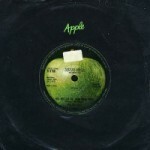 On the original LP release, the song order was changed and several songs were cut, probably for space reasons. Despite the title of the version released on CD in 2000 – At San Quentin (The Complete 1969 Concert) – the CD does not contain the entire concert uncut, but does feature additional tracks and running order that parallels the actual set list. 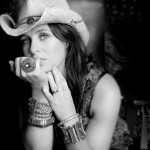 Australian country singer-songwriter. She is the daughter of steel guitar player Bill Chambers, and the sister of musician and producer Nash Chambers. Chambers was born in Mount Gambier, South Australia. She grew up on the Nullarbor Plain where her family lived seven to eight months a year until 1986. In late 2005, Chambers married Australian singer-songwriter Shane Nicholson. American jazz saxophonist, clarinetist,arranger and composer.Oliver Nelson was a distinctive soloist on alto, tenor, and even soprano, but his writing eventually overshadowed his playing skills. He became a professional early on in 1947, playing with the Jeter-Pillars Orchestra and with St. Louis big bands headed by George Hudson and Nat Towles. In 1951, he arranged and played second alto for Louis Jordan‘s big band, and followed with a period in the Navy and four years at a university. After moving to New York, Nelson worked briefly with Erskine Hawkins, Wild Bill Davis, and Louie Bellson (the latter on the West Coast). In addition to playing with Quincy Jones’ orchestra (1960-1961), between 1959-1961 Nelson recorded six small-group albums and a big band date; those gave him a lot of recognition and respect in the jazz world. Blues and the Abstract Truth (from 1961) is considered a classic and helped to popularize a song that Nelson had included on a slightly earlier Eddie “Lockjaw” Davis session, “Stolen Moments.” He also fearlessly matched wits effectively with the explosive Eric Dolphy on a pair of quintet sessions. But good as his playing was, Nelson was in greater demand as an arranger, writing for big band dates of Jimmy Smith, Wes Montgomery, and Billy Taylor, among others. By 1967, when he moved to Los Angeles, Nelsonwas working hard in the studios, writing for television and movies. 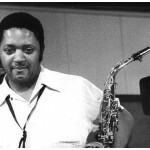 He occasionally appeared with a big band, wrote a few ambitious works, and recorded jazz on an infrequent basis, but Oliver Nelson was largely lost to jazz a few years before his unexpected death at age 43 from a heart attack. Scottish musician and songwriter best known for playing lead guitar in Paul McCartney’s Wings from 1974 to 1977. McCulloch was a member of the Glasgow psychedelic band One in a Million (formerly known as The Jaygars), Thunderclap Newman, and Stone the Crows. He also made appearances on many albums, including John Entwistle’s Whistle Rymes in 1972, as lead guitarist playing alongside Peter Frampton on “Apron Strings” and “I Feel Better”; and onRoy Harper’s album, Bullinamingvase, and Ricci Martin’s album, Bleached, both in 1977. 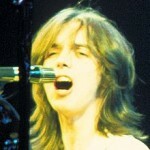 McCulloch also played guitar on Roger Daltrey’s album One of the boys which was released in 1977. 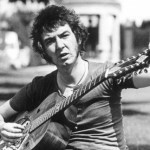 McCulloch was a friend of The Who and a member of the band Thunderclap Newman, which was created and produced by his mentor Pete Townshend. English musician, songwriter, and producer who is best known as the bass guitarist and founding member of two prominent English rock and roll bands: Small Faces where he was nicknamed “Plonk” (1965–69), and, after losing the band’s frontman, Faces, with two new members added to the line-up, (from the Jeff Beck Group), who dubbed him “Three-Piece” (1969–73). It was for his work in both Small Faces and Faces that Lane was inducted posthumously into theRock and Roll Hall of Fame in 2012.